Thank you for your participation to ISP2014. The symposium successfully ended with more than 260 attendees from 20 countries. General Information for "participants" and "Program" pages are updated. "Normal Registration" deadline has now extended. Information for "Chairpersons" and "Presenters" now available. Result of accepted abstracts for "Poster Session" has been updated. Important Informatin for "Conflict of Interest" is updated. Results of accepted abstracts have been updated and available to see here. "Early Bird Registration" deadline has now extended. "Call for abstracts" and "Call for Travel Award & Reports Award Applications " deadlines has now passed. "Call for abstracts" and "Call for Travel Award & Reports Award Applications " has been extended to May 15th, 2014. "Call for Travel Award & Reports Award Applications " now open. "Social Events" page is now open. "Registration", "Call for abstracts" and "Accommodation" are now open. 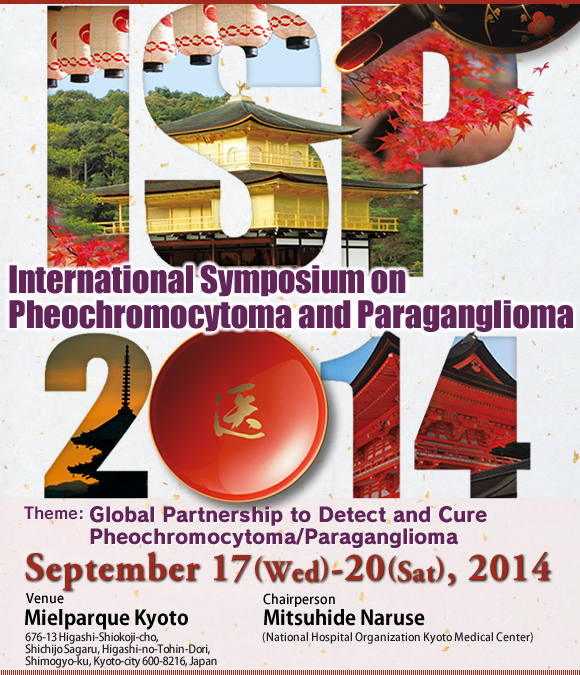 "Message from Organizing Committee", "Outline of the Symposium", "About Kyoto", "Access" page are updated. Copyright (c) ISP 2014 Allright Reserved.